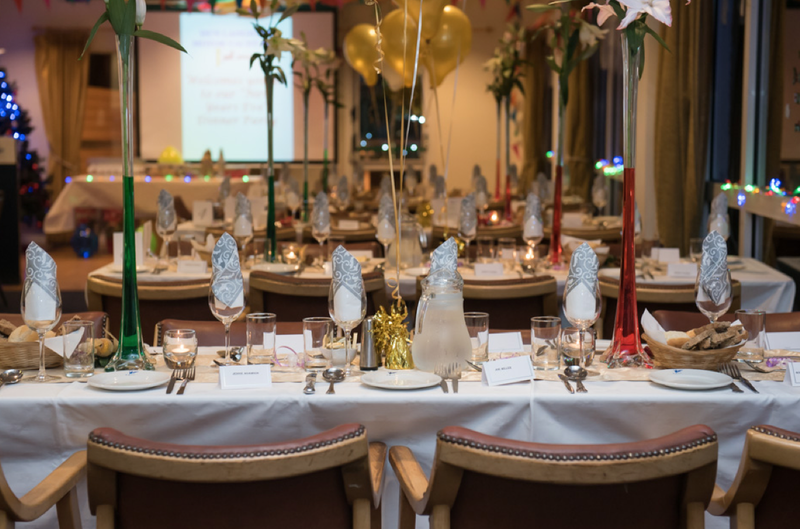 Our Christmas lunch will be held again in the Royal St. George Yacht Club in Dun Laoghaire. We hope you will join us again. Please contact us for more information on booking. Inaugural Meeting TCD – mid November, date to be decided. Invitations to the Meeting and Reception will be sent out as usual to all paid up members. “Malaga, from the Phoenicians to the present day”- a city with more history than most. an illustrated talk by Michael Barry, Historian. “History as Poetry, a journey back in time through selected poems by C.P.Cavafy”. 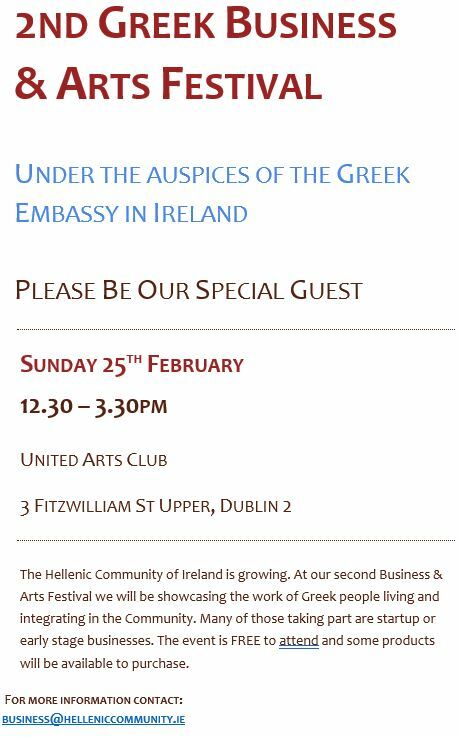 The Readings of poetry in both Greek and English were led by the Greek Ambassador to Ireland, H.E. Mrs Katia Georgiou. Autumn Outing to National War Memorial Gardens, Islandbridge. 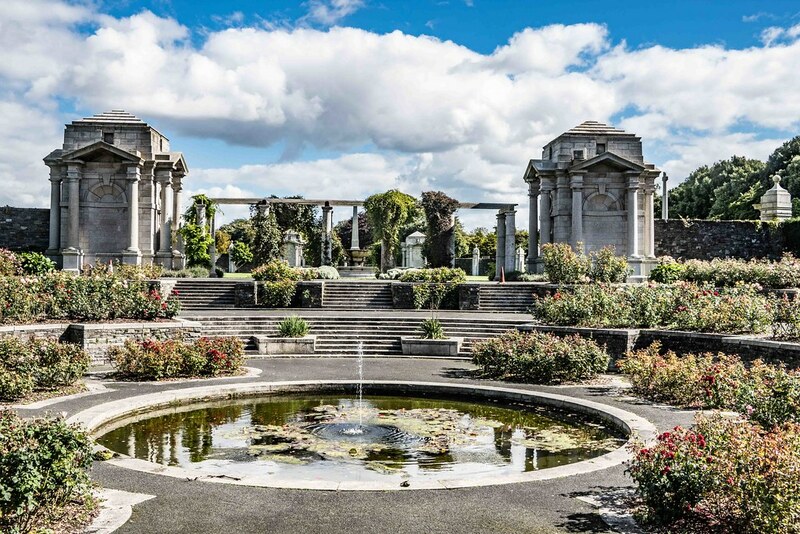 For our first meeting of Autumn we arranged a guided tour of The Irish National War Memorial Gardens, Islandbridge, Dublin 8, designed by Architect Sir Edward Lutyens (1869-1944). Summer Outing to Athlone Castle, Co. Westmeath and to Clara Bog Nature Reserve, Co. Offaly. Our Outing included a guided tour of 13th century Athlone Castle and Visitor Centre whose exhibitions lead us through 5000 years of local history. Later we travelled to Clara Bog Nature Reserve where we strolled along the 1km boardwalk which meanders through the bog, guided by Dr. Thomae Kakouli-Duarte. Dr. Thomae Kakouli-Duarte, lecturer in the Institute of Technology, Carlow gave an illustrated presentation on Irish Peatlands in anticipation of our Summer Outing to Clara Bog Nature Reserve. 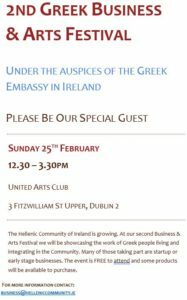 Hellenic Community of Ireland held its second business and arts event on Sunday 25th February in the United Arts Club. Tuesday 20th February 2018 at 7.30pm Neill Theatre, Long Room Hub, Trinity College Dublin. 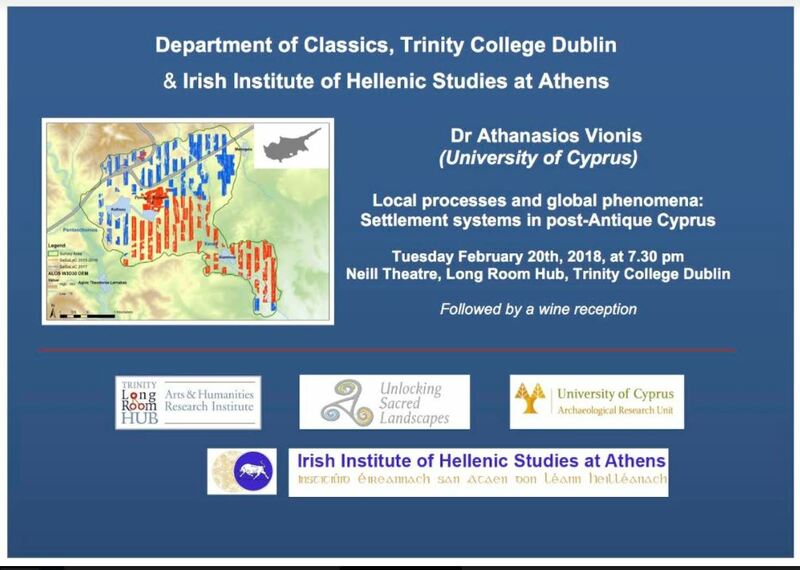 IHS members were cordially invited to the IIHSA/Dept of Classics lecture in Trinity College which was followed by a wine reception. “Charles James Napier (1782-1853), an Irish Philhellene in Kephalonia.” Margaret Barry, Member, gave an illustrated talk on the Irish-Philhellene who became Governor of Kephalonia in 1822, and where the Napier Gardens in Argostoli are named after him. 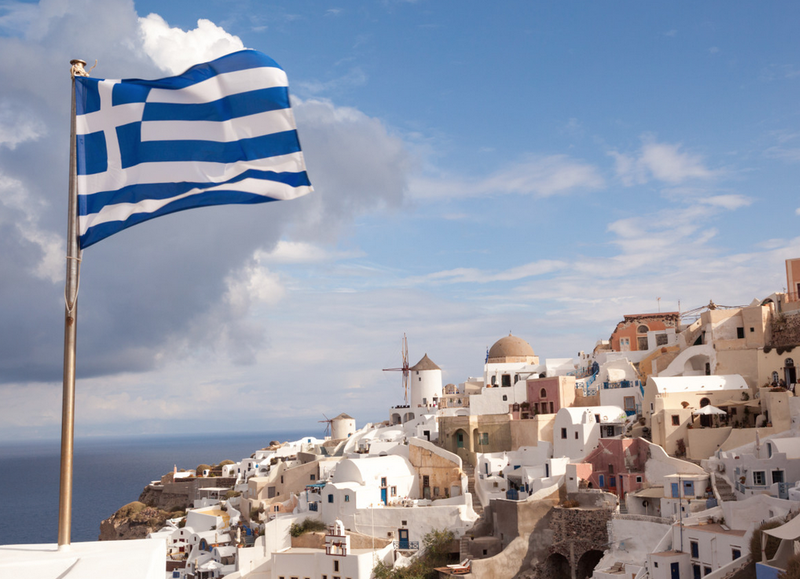 In search of Arcadia, “the Greek Switzerland” by Dr. Eric Haywood, UCD. The myth that Arcadia is some kind of earthly paradise is indeed a myth. The “real” Arcadia is in fact a much darker place than that. So how did the myth originate and why has it been kept alive? 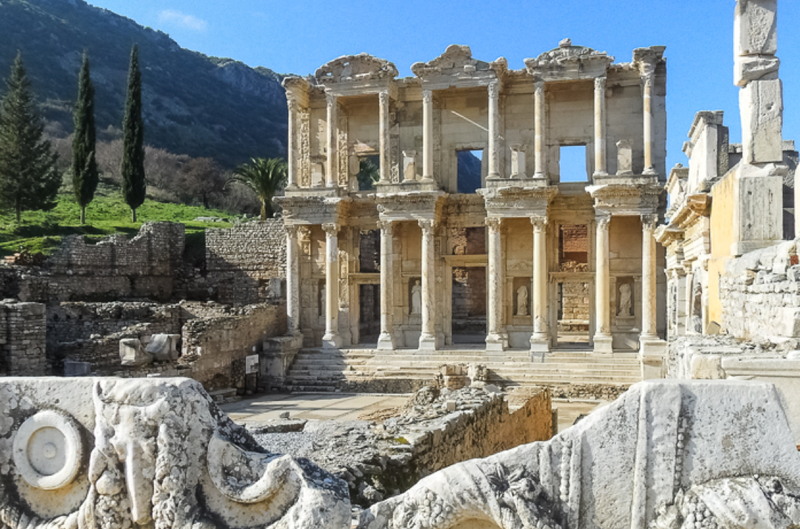 The lecture will traced the myth from its origins in classical antiquity to the present day and explained where it all went wrong! IHS Members were invited to the following events, all of which will be performed by the Ambassador of Greece, H.E. Katia Georgiou. 1. The launch of Prof. Brian Arkins’ book Death and Marriage: Greek and Roman Drama at 5pm on Friday 12 January in the O’Donoghue Centre, NUI, Galway. 2. 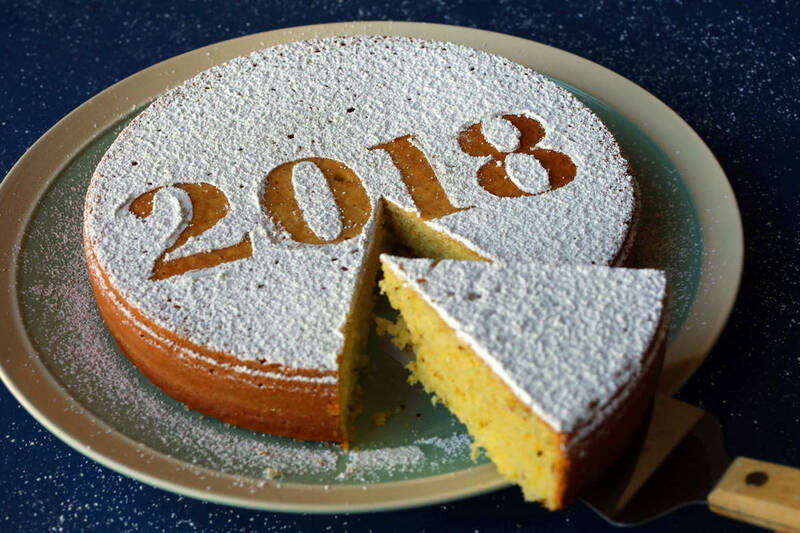 The cutting of the Vasilopita (St. Basil’s Cake) for the Hellenic Community of Ireland at 2pm on Sunday 21 January, at 45 Merrion Square East. This is a widespread Greek custom to welcome the New Year. (The HCI this year celebrates both its 55th anniversary, and the 15th anniversary of the Greek school in Ireland). 3. The opening of the exhibition Memorialising the Sacred, a project by Sean McCrum, Paddy Sammon, David Stalling and Anthony Kelly, in the gallery, Irish Architectural Archive, 45 Merrion Square East, at 7 pm on Monday 22 January 2018. 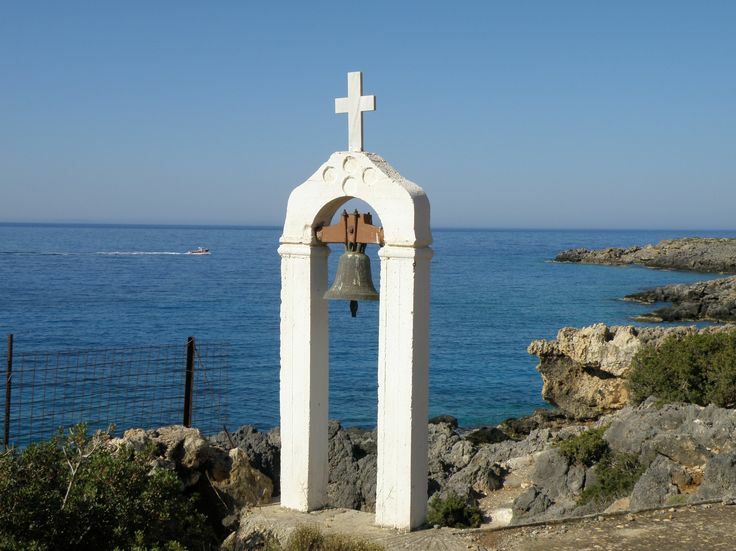 Centred on the churches and wayside shrines of the villages of Loutro and Anopoli in Sfakia, south-west Crete, it includes black and white photographs; sound recordings; and related objects, some lent by the Classical Museum, UCD. Opening hours: 10am – 5pm, Tuesday-Friday, 23rd January to 2nd March. Our Christmas lunch was held in the Royal St. George Yacht Club in Dun Laoghaire. Irish Hellenic Society members are invited to attend the IIHSA DAY SCHOOL which will be held in U.C.D. this year. Below are a list of speakers and topics that will be covered on the day. 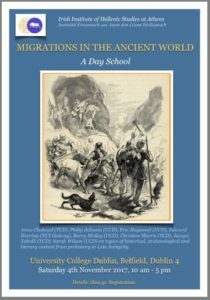 Dr Christine Morris (TCD) People on the move: migration and identity in ancient Cyprus. Dr Barry Molloy (UCD) The Collapse of the Bronze Age world: rethinking the Dorian migrations. Dr Edward Herring (NUI Galway) Why leave home? The motivations for the Greek colonisation of Italy. 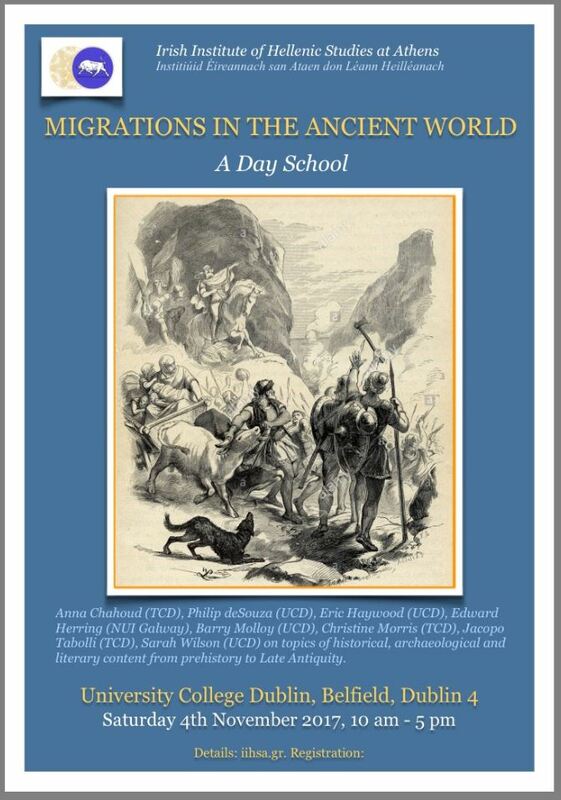 Dr Eric Haywood (UCD) Migrants and the Foundation of Rome. Prof. Anna Chahoud (TCD) Roots and Routes: Ancient European Languages. Dr Jacopo Tabolli (TCD) Dance, then, wherever you may be. Addressing mobility (real or fake?) between the Etruscans and the ‘first’ Greeks along the Tiber. Dr Sarah Wilson (UCD) What is “Foreign”? 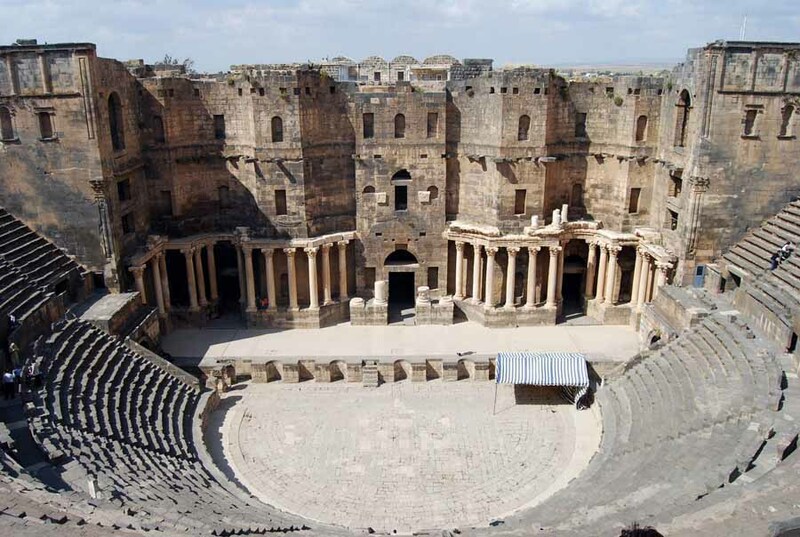 Syrian Cults in Rome. Dr Philip deSouza (UCD) Rome and the Barbarians. Alternatively, you can pay at the door but you must book in advance. The Inaugural Meeting was held in UCD this year. Dr. Niki Stavrou will gave an illustrated talk on the life of writer and philosopher Nikos Kazantzakis. 2017 has been declared the ‘Year of Kazantzakis’ by the Greek Ministry of Culture. For our first meeting of Autumn we arranged a guided tour of Kildrought House, Celbridge. Kildrought House was the village school in the 18thc. and attended by Charles Napier (cousin of Lord Edward Fitzgerald), who became Governor of Kefalonia in 1822. The visit included a guided tour of the house and gardens. A great day was had by all! The Summer Outing included a guided tour of Dun na Si Heritage Centre and Sculpture Park, Moate, Co. Westmeath, followed by a visit to Clara Visitor Centre, Co. Offaly, with an audio-visual presentation of the Clara Bog Preservation Project. We also visited St. Manchan’s Church, Boher, Co. Offaly which holds St. Manchan’s Shrine, a beautiful work of art built in about 1130 AD, which is the largest surviving medieval reliquary in Ireland. The trip was very successful and thank you to all members who attended. 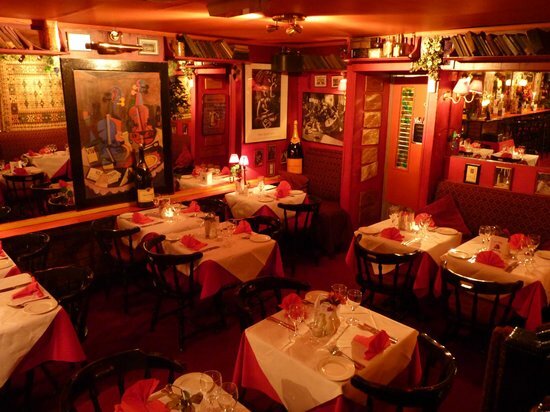 La Cave Wine Bar, 28 South Anne Street, Dublin 2. La Cave held a wine-tasting evening with wines from Greece, Lebanon and Georgia, as part of their ongoing wine appreciation courses, which are held in their first-floor function room. 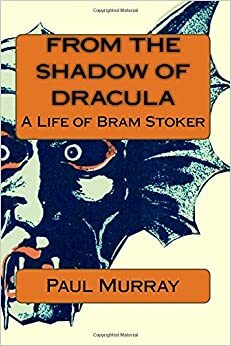 Paul Murray, retired diplomat and author of ‘From the Shadow of Dracula: a life of Bram Stoker’ gave an excellent talk on Bram Stoker’s life which breaks new ground in Stoker studies. Paul’s book is available for purchase on Amazon. Yannis Ritsos: The Moonlight Sonata – a dramatisation performed by Marios lordanou and Sofia Kazantzian in TCD. 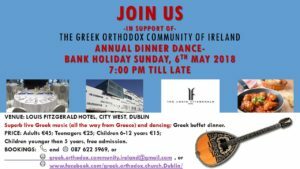 This year’s Greek National Day saw the world premiere in Dublin of a dramatisation by two superb actors of the Moonlight Sonata by Yannis Ritsos. This was a world premiere, performed by the actors Mários Iordánou and his spouse Sofía Kazantzián, under the auspices of the Greek Ministry of Foreign Affairs and organised by the Hellenic Community of Ireland in conjuction with the Greek Embassy in Ireland and the Department of Classics, Trinity College Dublin. The performance was in modern Greek, with a prior reading of the translation made by Marjorie Chambers and published by Goldsmith Press (an imprint of the poet Desmond Egan). Marjorie Chambers attended the performance. Article 4(d) of the Constitution states that ‘at least one member of the Committee shall retire annually and shall not be eligible for re-election for at least one year’. Nominations, therefore, were welcomed for all positions on the Committee together with motions and proposals. 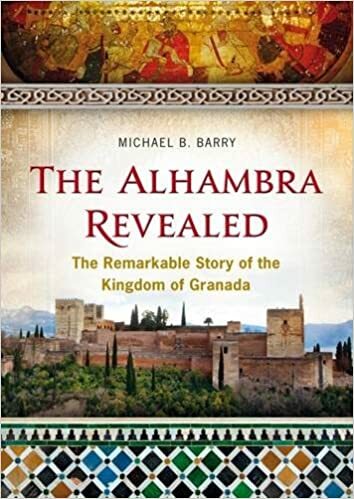 Michael Barry, Author of ‘Homage to al-Andalus, the Rise and Fall of Islamic Spain’, told the story of the rise and fall of al-Andalus, its rise to splendour and sophistication in the Iberian Peninsula. 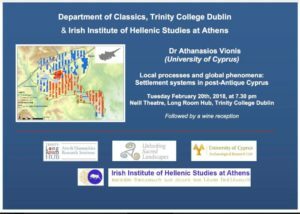 An illustrated lecture was given by Dr. Christina Haywood, Adjunct Lecturer, School of Classics, UCD and Director of the Irish Institute of Hellenic Studies at Athens. Once again, our Christmas Lunch was held in the festive atmosphere of the Royal St. George Yacht Club. It was a wonderful afternoon where we celebrated the end of a year of interesting lectures and the beginning of a brand new season of talks to come. Dr. Costas Papadopoulos of the National University of Ireland, Maynooth, gave an illustrated presentation on modern computer applications in Archaeology related to his work in Greece. Dr. Costas Papadopoulos holds a BA in history and archaeology (University of Crete, Greece), a Master of Science (MSc) in archaeological computing – virtual pasts (University of Southampton, UK), and a Doctorate of Philosophy (PhD) in archaeology (University of Southampton, UK). He is currently a lecturer in Digital Heritage at An Foras Feasa, the humanities research institute at Maynooth University. 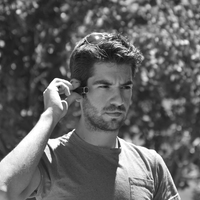 He specialises in 3D visualisation methods and technologies for recording, capturing, researching, and disseminating archaeological and cultural heritage data. In particular, his research, teaching and publications to date are primarily related to digital reconstructions, formal three-dimensional analyses of past built spaces, light in archaeology, Augmented Reality, and Computational Imaging, examining both the practical aspects of modern technologies and the theoretical dimension of such approaches. He has received numerous scholarships, grants and bursaries from various prestigious institutions including the State’s Scholarships Foundation, the Merchant Seamen’s Fund, The British School at Athens, The Psycha Foundation, The Greek Archaeological Committee UK, The Alexander S. Onassis Public Benefit Foundation etc. His research achievements include more than 20 publications in journals, digital heritage conference proceedings, and edited books. He is also co-editor of three volumes on digital archaeology and the author of a monograph that explores light in relation to burial practices in Minoan Crete. He is currently working on the Oxford Handbook of Light in Archaeology, an interdisciplinary volume that explores the role and symbolism of light in different contexts and different parts of the world. He is a founding member and Chair of Virtual Heritage Network (VHN): Ireland, an institution that brings together researchers and practitioners who implement digital means for the support, improvement, and promotion of cultural heritage in Ireland and beyond. He is founding member and publication officer of Computer Applications and Quantitative Methods in Archaeology – Greek Chapter (CAA-GR), and on the management board of the European Union funded network ‘Archaeological practices and knowledge work in the digital environment’ as the national representative for Ireland. 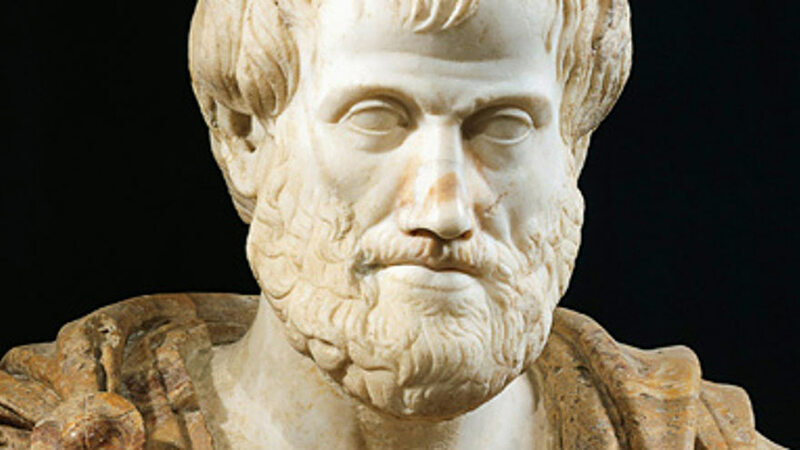 This year’s very successful inaugural took place in Trinity College Dublin and focus on the subject of Aristotle’s life and works and the celebration of his 2400 birthday. Four speakers gave short presentations on various aspects of Aristotle’s immense contribution to humanity followed by a reception. The American artist Paul Gregg’s exhibition Inductive Probability is on view until 23 October 2016 at the Royal Hibernian Academy, 15 Ely Place, Dublin 2. He received a Fulbright Scholarship to Ireland, where he has lived since 1995, and is a lecturer at the Dún Laoghaire Institute of Art, Design, and Technology. His Aristotle’s Walk (2012) is a columnar structure, the focal point of a memorial garden situated in the central courtyard of St Mary’s CBS, Portlaoise. Thomaé Kakouli-Duarte is, like her famous forebear whose birth we are celebrating, from Macedonia in northern Greece. Following in Aristotle’s researches into parasitic nematodes, she is an international expert in the field of environmental nematology and one of the founding members and the current Director of enviroCORE, in the Institute of Technology, Carlow. There she researches innovative bio-environmental technologies with a view towards enhancing economic and social development in an environmentally friendly manner. Eoghan Mac Aogáin studied philosophy at University College Dublin and psychology at the University of Alberta in Canada. He was a Research Fellow at the Educational Research Centre and subsequently Director of The Linguistics Institute of Ireland prior to his retirement. He has spoken to the Society on the Irish philosopher Iohannes Scottus Eriugena (c. 800–870) and, with his colleague Máire Nic Mhaoláin, recently edited a new Irish-English dictionary. Fran O’Rourke, Emeritus Professor of Philosophy, University College Dublin, has recently published a volume of essays entitled Aristotelian Interpretations. He will describe early personal experiences that inspired a distinctively Aristotelian approach to the world. 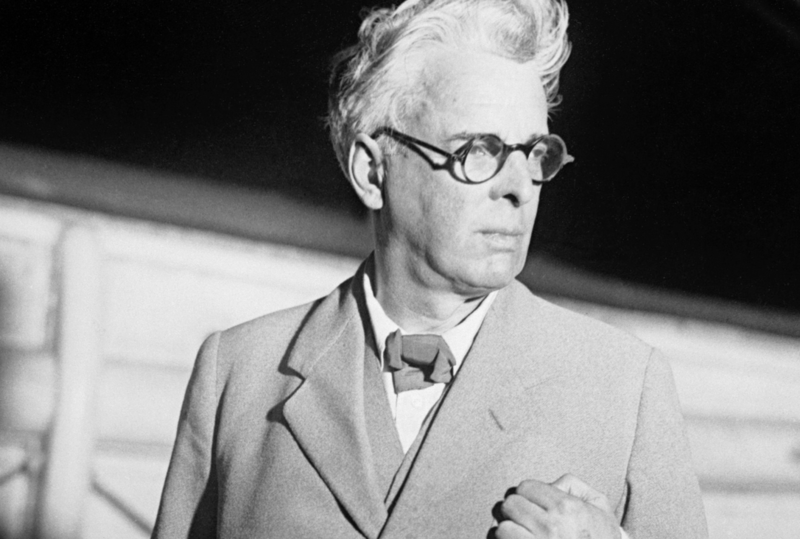 He will explain why Aristotle was for James Joyce ‘the greatest philosopher of all time’. 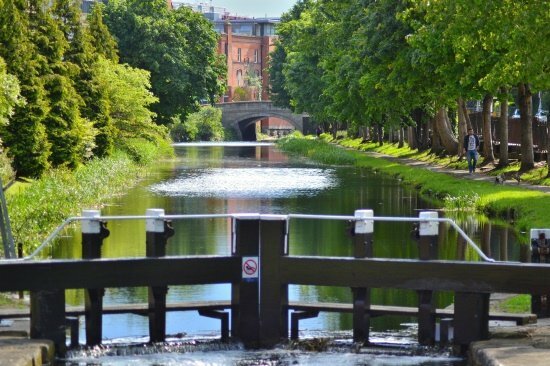 Mr. Geoff Lovegrove gave a wonderful presentation on stories about the Dublin Canals and how they effect each and every one of us. Our 1916 walking tour with historian Michael Barry to celebrate the centenary of the rising was a great success. The tour comprised of a stroll around central Dublin to look at some of the key areas of the Easter Rising in 1916. Author and historian Michael Barry, studied in Trinity College, Dublin. He has worked on transportation projects both in Ireland and around the world. 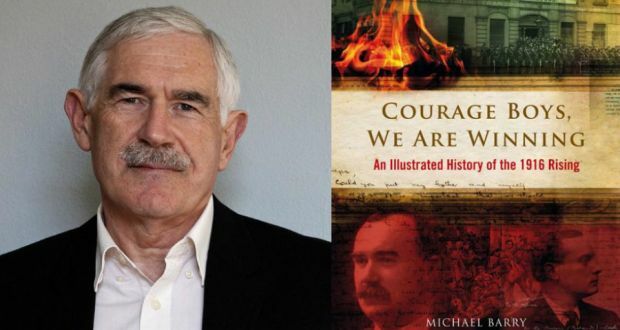 With a strong interest in history and heritage, Michael has written many books including ‘Victorian Dublin Revealed’, and recently, the acclaimed ‘Courage Boys, We are Winning, an Illustrated History of the 1916 Rising’. 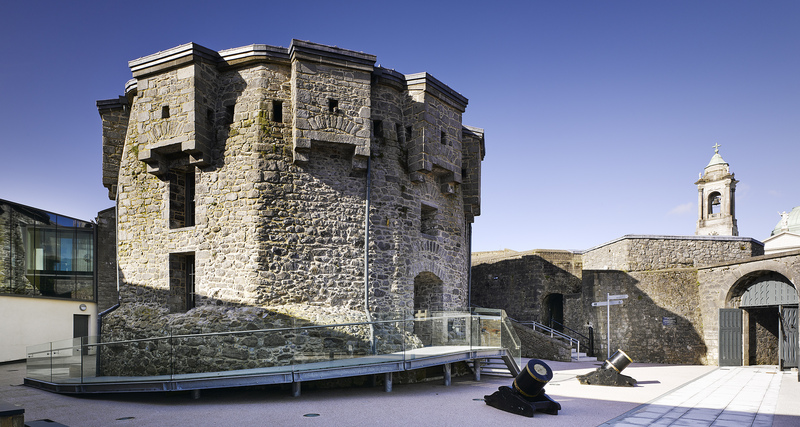 Members are invited to travel to Enniscorthy, Co. Wexford for our annual summer outing and will receive guided tours of Enniscorthy Castle and the National 1798 Rebellion Centre. Enniscorthy Castle was built in the 13th century and contains exhibitions on several floors dedicated to the Anglo-Norman Invasion of Leinster, the 1916 Rebellion in Enniscorthy, and the famous artist and furniture maker, Eileen Gray, (1878-1976) who was born just outside the town. More recently the castle was home to the Roche family and we will see the children’s nursery and their drawing room complete with the original furniture and family photographs. On the roof top there are spectacular views of Enniscorthy town and Vinegar Hill. The castle has both staircases and a lift to all floors. The National 1798 Rebellion Centre gives the history of the United Irishmen and the 1798 Rebellion and it includes a “state of the art 4D Battle of Vinegar Hill Experience”. We hope that you will join us for what promises to be a very interesting outing. Prior to the AGM at 7.00pm the Greek Ambassador,H.E. 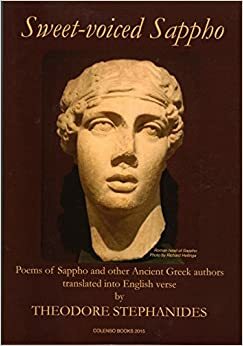 Mrs. Katia Georgiou launched ‘Sweet voiced Sappho’, a collection of ancient Greek poetry, translated by Theodore Stephanides and edited by Dr. Anthony Hirst. The Annual General Meeting commenced at 8.00pm. John Scotus Eriugena is the most significant Irish intellectual in the early Monastic period that was appointed head of the Palace school at the court of Charles the Bald, Holy Roman Emperor and became a translator and admirer of Greek theology. By Eoghan MacAogain, former director of the Linguistics Institute of Ireland. An illustrated presentation by George Cunningham, founder of Roscrea Heritage Society. Roscrea is one of Ireland’s oldest towns and has an unrivelled suite of Heritage buildings. Our Christmas lunch took place in the Royal St. George Yacht Club, Dun Laoghaire. A fantastic evening was had by all. To mark WB Yeats 150th Anniversary year, Ms Stella G Mew, former CEO Yeats Society Sligo, gave a talk entitled ‘Willy and Lily and Lollie and Jack’’ which dealt with the Yeats siblings and their individual achievements and relationships to each other. ‘Greece through Irish Eyes’, based on his Irish Times column. Denis Staunton, deputy Editor of The Irish Times and David Givens, publisher, Liffey Press, also spoke. Richard worked for 25 years in Irish Broadcasting and is the author of many books on Irish culture. He now lives in Corfu. For our first meeting of Autumn we arranged a guided tour of Kilruddery House and Gardens, Bray, Co. Wicklow. Kilruddery has been home to the Brabazon family (the Earls of Meath) since 1618. The House is one of the most successful Elizabethan-Revival mansions in Ireland and the Gardens are the oldest surviving in their original 17th century unique style.